The central message of SITES® is that any project holds the potential to protect, improve and regenerate the benefits and services provided by healthy ecosystems. The SITES program provides guidelines for projects to meet their sustainability goals, regardless of the initial condition of the site. Whether your site has never been developed, is a contaminated brownfield or any land condition in between, a project that receives SITES certification will meet the goals of protecting and improving natural resources, supporting economic viability and facilitating human health and wellbeing. The SITES Rating System applies to development projects located on sites with or without buildings—and covers a wide variety of project types, ranging from parks to campuses to streetscapes to gardens. Of the 47 projects that have certified under the SITES pilot program, 91 percent were in areas of previous development, with 26 projects in urban areas and 17 in suburban areas. SITES has the flexibility to address concerns in a variety of site types because of the key features embedded in the rating system: integrated design team, pre-design site assessment and guidelines that are performance-based instead of prescriptive. SITES depends on the knowledge and skills of an integrative design team to assess and recommend strategies specific to the site. It sets the benchmark for sustainable landscape design, and project teams must then decide how to best meet these benchmarks. Site Context: Over 85 percent of the pilot project teams earned points for the three credits in this category. All projects achieved points for Context Credit 1.5 Redevelop degraded sites except projects designated as greenfields, or undeveloped sites. This is the only credit that excludes an undeveloped site from achieving points by definition. However, many projects have a variety of existing land conditions within their project boundary and may be able to meet these requirements if any part of the site was previously developed. Pre-Design Assessment + Planning: In addition to the critical prerequisites in this section, over 80 percent of the projects achieved points for Pre-design Credit 2.4 Engage Users and Stakeholders. Site Design—Water: Since water is a critical design consideration of all landscape projects, it is not surprising that all project teams achieved points for credits in this category. Over 75 percent of the projects received points for Water C3.3 Manage Precipitation beyond baseline, Water C3.4 Reduce outdoor water use and Water C3.6 Restore Aquatic Ecosystems. And two-thirds of the projects met the requirements for Water C3.5 Design Functional stormwater features as amenities. Site Design—Soil + Vegetation: All project teams included these fundamental goals in their projects, and every project achieved points for some credits in this category. 75 percent of projects received points for Soil+Veg C4.4 Conserve healthy soils and appropriate vegetation, Soil+Veg C4.5 Conserve special status vegetation, Soil+Veg C4.6 Conserve and use native plants, Soil+Veg C4.7 Conserve and restore native plant communities and Soil+Veg C4.8 Optimize biomass. Over 50 percent of projects received achieved Soil+Veg C4.9 Reduce urban heat island effects and Soil+Veg C4.11 Reduce the risk of catastrophic wildfire. Site Design—Materials Selection: This section challenges project team to consider each stage of a material’s life cycle to assess sustainable merit. While the distribution of points in this section was diffuse, all credits were achieved by at least one project, and over 50 percent of the projects received points for Materials C5.6 Use regional materials. Site Design—Human Health + Well-being (HHWB): This section focuses on connecting humans to the landscape and each other, and had the only credit achieved by 100 percent of the projects—HHWB C6.6 Support social connection. Also over 75 percent of projects earned points for HHWB C6.2 Provide optimum site accessibility, safety, and wayfinding, HHWB C6.4 Support mental restoration and HHWB C6.10 Minimize exposure to environmental tobacco smoke. And over 50 percent of projects achieved HHWB C6.3 Promote equitable site use, HHWB C6.5 Support physical activity and HHWB C6.9 Encourage fuel efficient and multi-modal transportation. Construction: Since project teams must restore soils disturbed during construction, most projects—nearly 80 percent—went beyond the prerequisite requirements to received points for Construction C7.4 Restore soils disturbed by previous development. Additionally, over 50 percent of the projects earned points for Construction C7.5 Divert construction and demolition materials from disposal and Construction C7.6 Divert reusable vegetation, rocks, and soil from disposal. Operations + Maintenance: Communicating and committing to future maintenance considerations from the beginning of the project is critical to ensure the sustainable intentions will be realized for the life of the project. Along with the detailed prerequisites for this section, over 85 percent of projects earned points for O+M C8.3 Recycle organic matter and O+M C8.7 Protect air quality during landscape maintenance. Education + Performance Monitoring: Over 85 percent of teams received points for Education C9.1 Promote sustainability awareness and education, while nearly 50 percent of projects committed to post-construction monitoring and reporting, which is critical to documenting the success (or failure) of sustainable methods to inform future design. Innovative Design: Almost every team attempted points in the Innovation section, with over 85 percent of team receiving points for this section. This is an opportunity for project teams to attain bonus points beyond the 200 points included in the rating system, for exceeding benchmarks set for existing credits or demonstrating new sustainable practices that show a quantifiable benefit according to the SITES goals. Whether you are evaluating a potential project for SITES certification or just want to understand the certified projects more, this article provides a great place to start. There are opportunities for all projects to follow the SITES v2 Rating System and get certified. Understanding the depth and variety of guidelines in the SITES v2 Rating System is the first step. 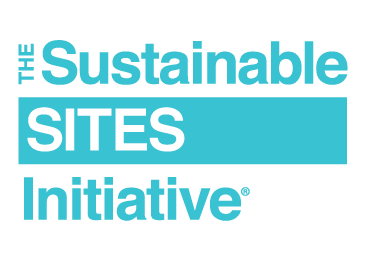 To learn more about SITES, visit sustainablesites.org. Download a free version of the SITES v2 Rating System. Contact us with your questions: email SITES. This article is based on data collected from SITES pilot projects, and the credits listed here are from the SITESv2 Rating System. There have been some changes to the credits, points and titles since the pilot program, but the intent and requirements for most credits are comparable.